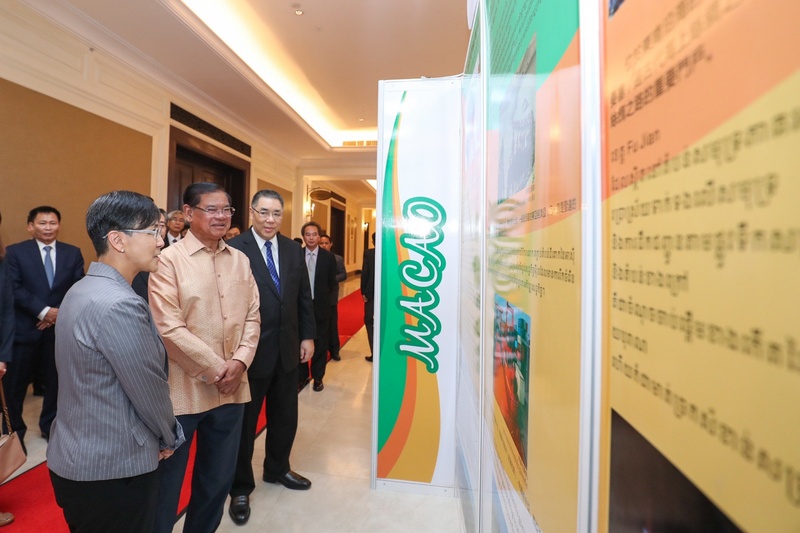 During the visit of the Chief Executive Chui Sai On and the Government delegation of the Macao Special Administrative Region to Cambodia, Macao Government Tourism Office (MGTO) specially held a concurrent promotional event in Cambodia including a presentation seminar about Macao’s tourism and investment environment, a photo exhibition about the implementation of Macao’s policy of “One Country, Two Systems” and Macao’s engagement in the Belt and Road development, as well as a hosted dinner, with the aim to push forward exchange and cooperation between Macao and Cambodia in the field of tourism. The presentation seminar about Macao’s tourism and investment environment held today (8 May) unveiled the promotional event. MGTO Director Maria Helena de Senna Fernandes and the President of Macao Trade and Investment Promotion Institute (IPIM), Jackson Chang, presented the tourism situation and investment environment in Macao respectively to over 100 tourism industry operators and entrepreneurs in Cambodia. 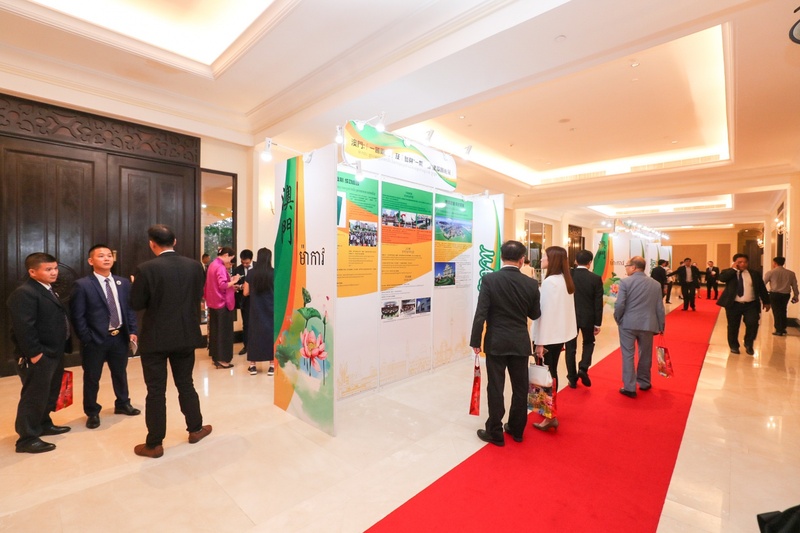 On the same occasion, MGTO held a cocktail reception and photo exhibition about the implementation of Macao’s policy of “One Country, Two Systems” and the city’s commitment to the Belt and Road development. The exhibition displays around 110 significant works which manifest Macao’s policy of “One Country, Two Systems” in practice and the city’s participation in the Belt and Road development in a visual way. 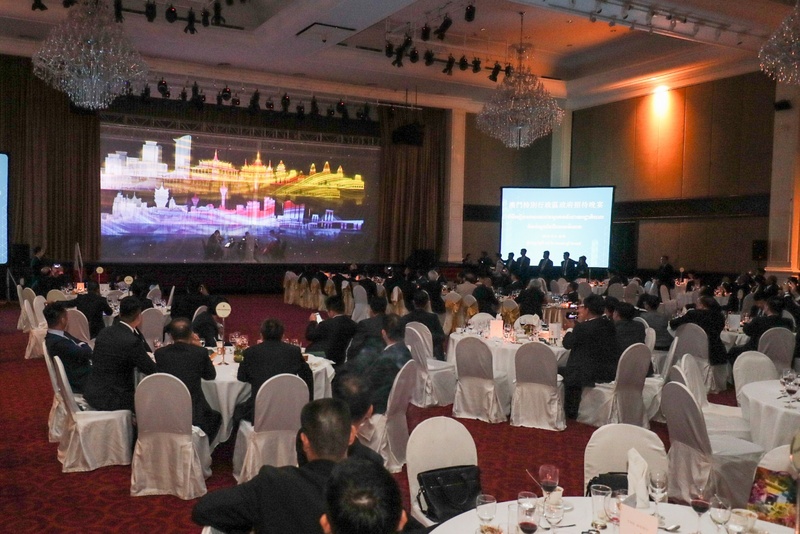 In the evening, the Macao SAR Government hosted a splendid dinner for the guests. To showcase the unique cultures and artistic gems of both places and enrich the cultural experience of the guests through performances that exude the unique aroma of Macao and Cambodia, MGTO invited the Macao Youth Symphony Orchestra to perform at the dinner. The dinner also featured a 3D mapping show designed and produced by a cultural and creative youth entity as well as a street dance performance. Young artists from Cambodia were invited to perform their traditional dance at the dinner. Senior officials and guests at the dinner include the Chief Executive of the Macao Special Administrative Region, Chui Sai On, the Ambassador Extraordinary and Plenipotentiary of the People's Republic of China to the Kingdom of Cambodia, Xiong Bo, the Secretary for Administration and Justice, Sónia Chan, the Secretary for Economy and Finance, Lionel Leong, the Secretary for Social Affairs and Culture, Alexis Tam, and the Spokesperson of the Executive Council, Leong Heng Teng. 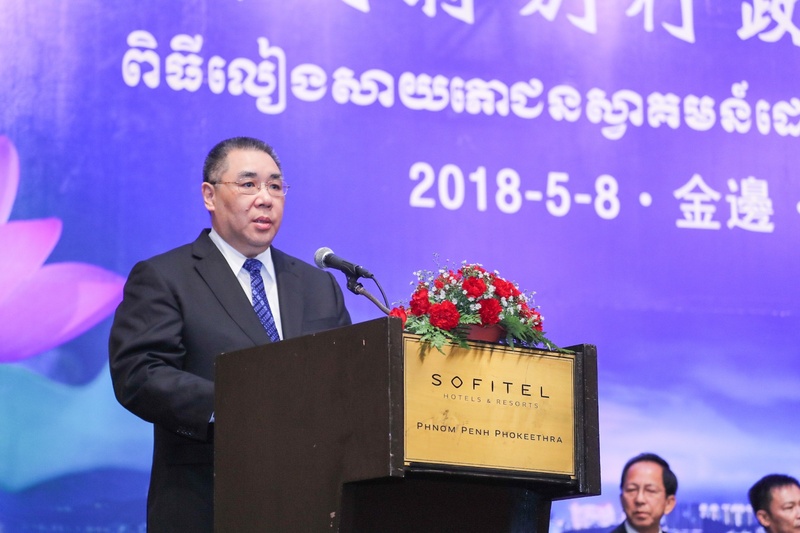 Dignitaries from Cambodia include the Deputy Prime Minister and Minister of Interior of the Kingdom of Cambodia, Sar Kheng, and the Minister of Tourism of the Kingdom of Cambodia, Thong Khon. 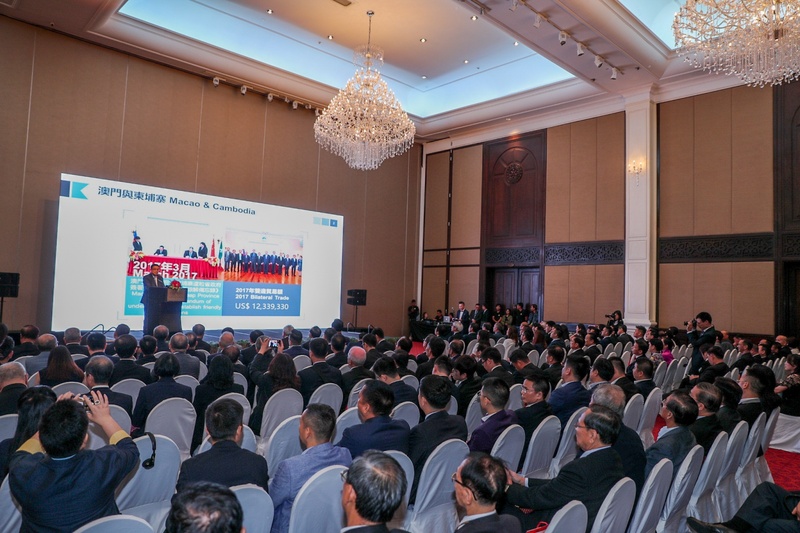 Being one of the countries along the Belt and Road, Cambodia holds a great potential to tap into tourism cooperation and boost mutual visits with Macao. Chief Executive Chui Sai On and the Government delegation of the Macao SAR paid a visit to Cambodia starting 7 May. MGTO also held a concurrent promotional event in Cambodia to actively deepen tourism cooperation between Macao and Cambodia.